Regular maintenance on the major systems in your home, is one of the most important money-saving practices for home ownership. A maintained system will perform more efficiently, while experiencing fewer breakdowns. One of the biggest reasons homeowners tell us they often avoid routine maintenance is the expected high cost of doing so. Due to this fear, many homeowners wait until their home air conditioner won’t cool before they call their HVAC service company. 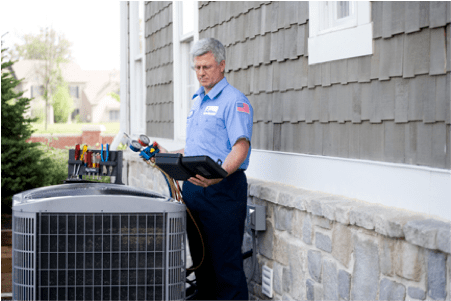 At this point not only do they have to typically pay more for repair or replacement than they would have for regular maintenance, but may also find themselves waiting around on the hottest day of the year when their service company is backed up with so many other calls. Having your HVAC system put on a yearly schedule saves time and money. Regular maintenance will pay for itself in lower repair costs and more efficient operation. Most manufacturers require routine maintenance in order to validate the warranty. Without regular maintenance you might be invalidating your warranty. Routine maintenance will protect you from major system repairs and maintain your manufacturer’s warranty. In case of a problem, you will still be covered! When it’s properly maintained, you can add up to 5 years of efficient use to your system. 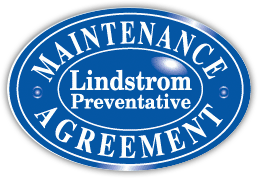 Get the benefits of prevention with the service you expect from Lindstrom Air Conditioning & Plumbing and you'll receive our exclusive Blue Carpet Service. 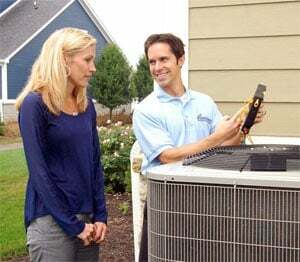 Why Maintain Your A/C and Heating System? Did you know that your A/C unit loses around 5 percent of its efficiency each year that it runs? Prevention is the best defense when it comes to getting the most out of your air conditioning and heating system. Why Maintain Your Plumbing System? 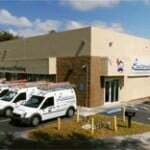 You schedule routine yearly physicals for you, your car, and your air conditioning and heating system. So why wouldn't you schedule one for your plumbing? 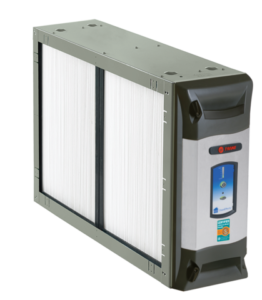 Why Maintain Your Indoor Air Quality System? Americans spend the majority of their time indoors, so it makes sense that you'd want to breathe in healthy air.